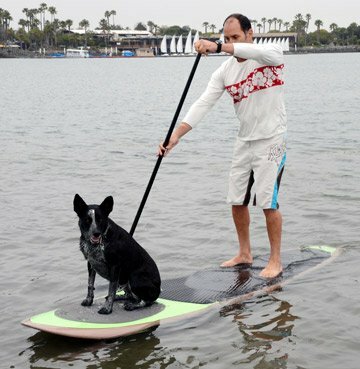 Let’s face it, your dog probably loves paddle boarding just as much as you, but you just don’t know it yet! What more could you want – a day out paddling on the lake with your favorite canine friend! 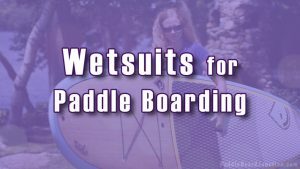 Note – SUP dog pads generally aren’t very expensive on their own, so all three of these options are quite reasonable in price, and about the same price. 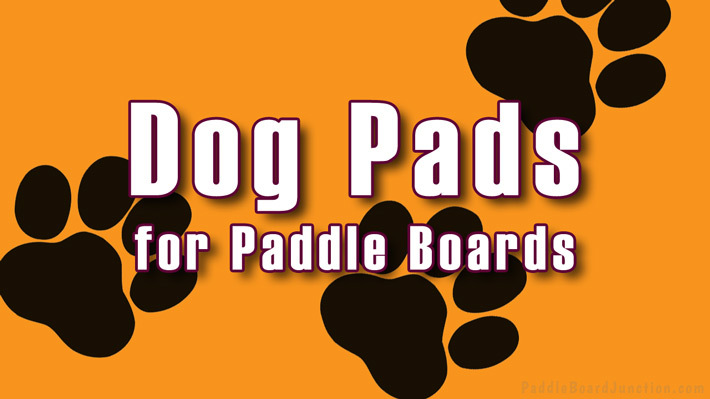 Materials: The Pup Deck SUP Pad for Dogs is made out of ¼” Flat Closed Cell EVA Foam (this is the same material that most SUP traction pads are made out of) that is lightweight, with a soft brushed finish that adds more comfort and traction for your dog. 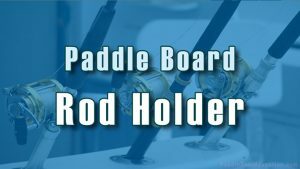 It attaches to the board with an adhesive backing that provides easy installation and allows strong bonding to the board. Quality / reviews: Nearly all of the customer reviews have nothing bad to say about this product. 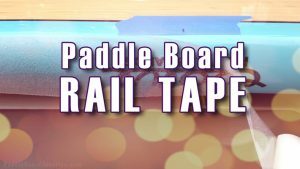 Many note that it is easy to install and has great traction, so their dogs don’t slip off of the board like they used to. The material can also be easily cut to fit the shape of your board. The overall rating on amazon for this traction pad is 4.8 out of 5 stars. Overall the Pup Deck dog pad is a high quality pad that will keep your dog out of the water and on your board! 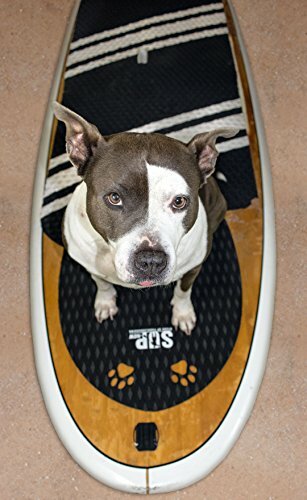 Materials: The SUP-Now Paddle Board Dog Pad is made from a lightweight and water-resistant material and has a diamond-grooved surface for better traction for your dog. With a 3M adhesive, the pad sticks well onto any SUP. Also, the pad is wide and thick enough to support larger dogs. The material can also be easily cut to fit the shape of your board better. Quality / reviews: All of the customer reviews note how good the quality of the SUP-Now dog traction pad is. It is thick enough to support a heavier dog well, and it is easy to install onto the board. Also, it is able to be unstuck from the board when deflating an inflatable SUP, but but strongly bonds to the board otherwise. The overall rating on amazon is 5.0 out of 5 stars. The SUP-Now dog pad is high-quality and especially recommended for any of you that have tendencies to get the surface of your board wet, since this pad is water-resistant. Materials: Similar to the Pup Deck Traction Pad, the Airhead Paws Pad is made from durable EVA foam and has a thick adhesive backing. 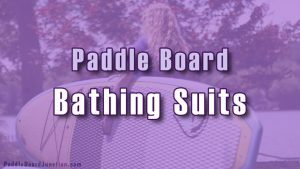 The adhesive backing easily attaches and strongly sticks to your paddle board. The material can also be cut to size for your dog. 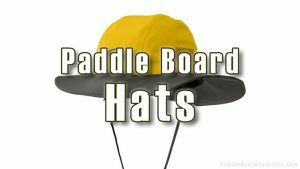 Quality / reviews: The customer reviews state that the Airhead Paws Pad allows their dog to stay on the paddle board without slipping off into the water. The reviews also note how easy it is to mount it onto the board with the adhesive backing. Also, one person purchased two pads – one for the back of the board and one for the front – and the material easily cut and fit to the shape of their board. The overall rating on amazon is 4.4 out of 5 stars. 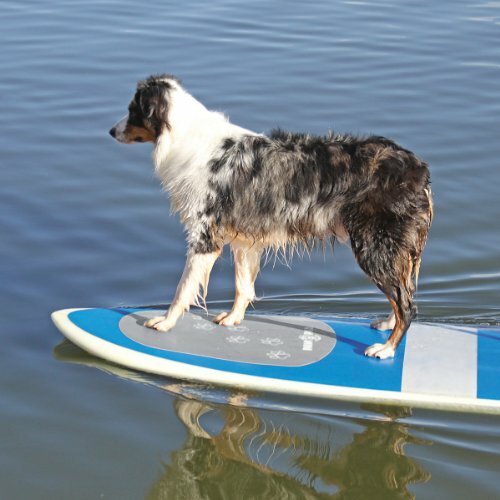 The Airhead Paws Pad works great for its purpose, keeping your dog on the board and out of the water!